Most brides and grooms want to have some time set aside to do the formal wedding portraits. And most wedding photographers will agree. It's important to document the family members and bridal party who were at the wedding. These are often the pictures that are shared the most amongst family and friends. It's not very often that the whole family is gathered together and looking their best, so these are often treasured images that get passed down through the generations. But they don't always have to be boring! Sure, get the standard "safe" shot of everyone standing in a line if you must, but allow your photographer a few extra minutes to get a little creative and have some fun. We asked the ISPWP members to share a few examples of how they went beyond the standard "firing squad" line up of formal portraits. 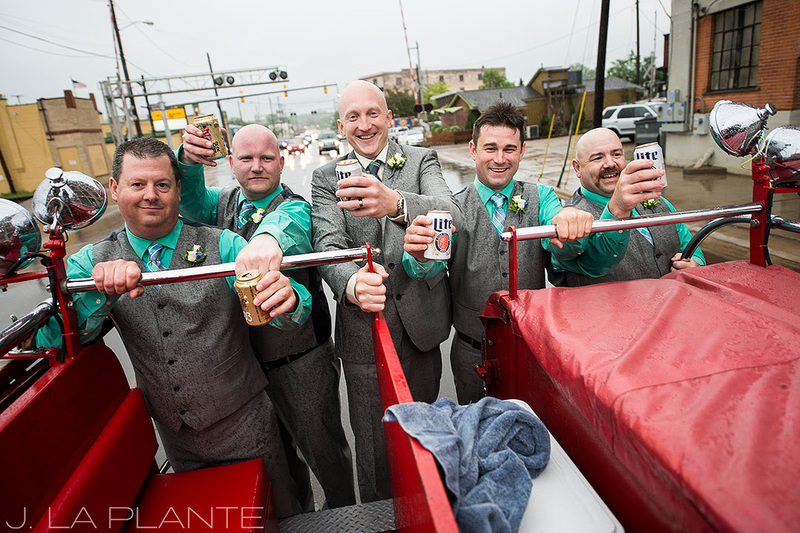 The groom and groomsmen were all firemen and had an antique fire truck for the "getaway" vehicle. When a sudden downpour forced the bride and bridesmaids off the truck and into a minivan, the guys just cracked some beers and held on like troopers. We had done a handful of more formal wedding party photos earlier in the day, but this one ended up being my favorite image, by far. At one point, we drove past two cop cars and I thought for sure they'd take issue with us booze cruising down Main Street, but they just whooped their sirens and waved. Evidently, police and firemen stay pretty tight. Wedding party photos in general can feel a bit staged, so whenever possible, I try to do something a little less formal and a little more unique. This one is a perfect example. After I had taken the regular groomsmen photo, I wanted to do something fun. 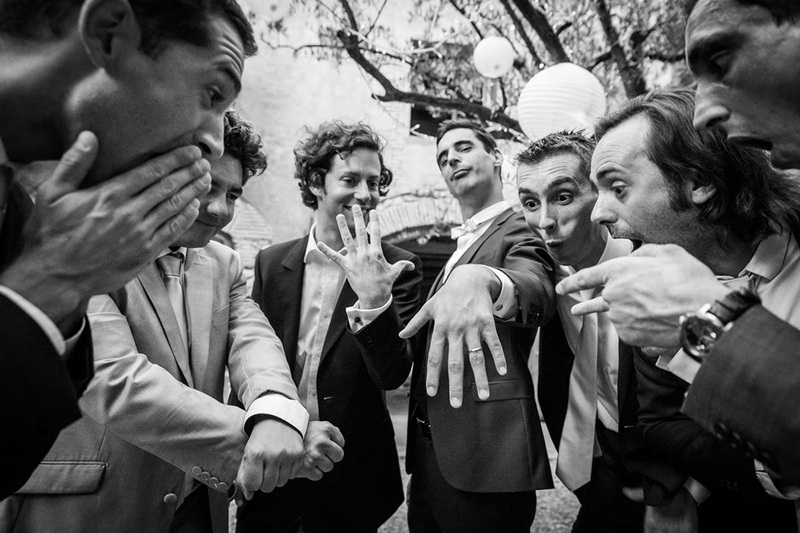 I simply asked the best men to improvise when the groom shows his ring and got these great expressions. While we as photographers always strive to be creative even with the formal shots, it's a sentiment often not completely shared by our clients (or their families). So my approach is simple: first do the formals "by the book" efficiently, and then get a bit more creative when the clients are at ease knowing they've got the standard shots in the bag. Optimally, it should be sometime later during the day. This shot is one such example. Formals were taken hours ago and I loved this location at first sight. I often try to incorporate groups into the environment and this was the perfect place. I told them to spread around the area and took a few shots. When some of them thought they were done, I partially lowered my camera and let this moment develop before shooting. 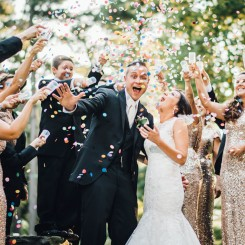 I just love the emotion between the bride and the groom that magically happened! My style of photography is documentary. Clients book me to be a keen observer of their day and to represent their wedding with a picture story. They are not expecting my photographs to be gimmicky: they are looking for the real moments and emotional images that will make lifetime memories. 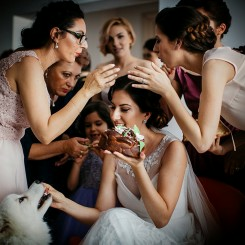 In this respect, the perfect group photo for my style of photography captures the festive atmosphere of the day, where guests are involved and it shows. The perfect group photo is able to capture happy faces of people that are truly enjoying the moment, smiling and keen to be photographed. The perfect 'formal' goes beyond the formal etiquette. 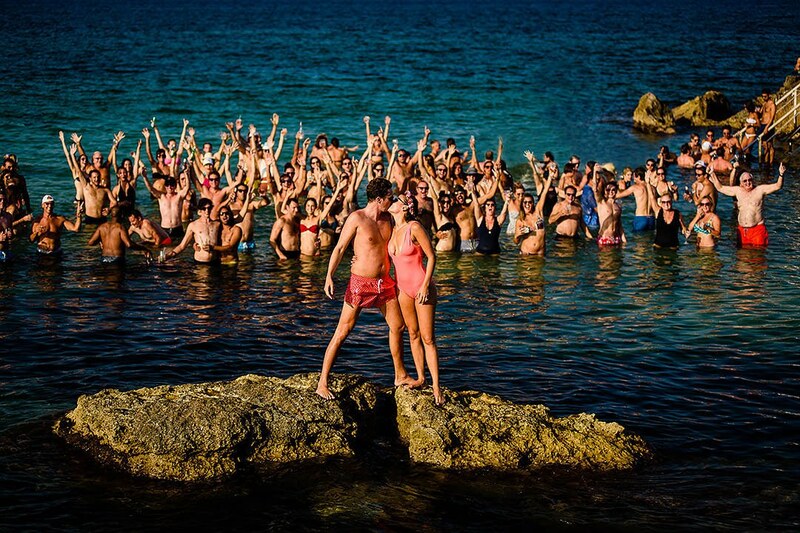 It is a portrait of the group being photographed and it renders the importance of the group to the people that are part of it. 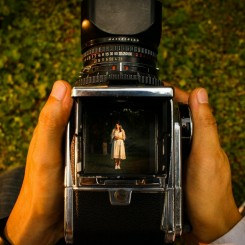 Taking formal portrait photographs can be quite a painstaking experience for the couple. 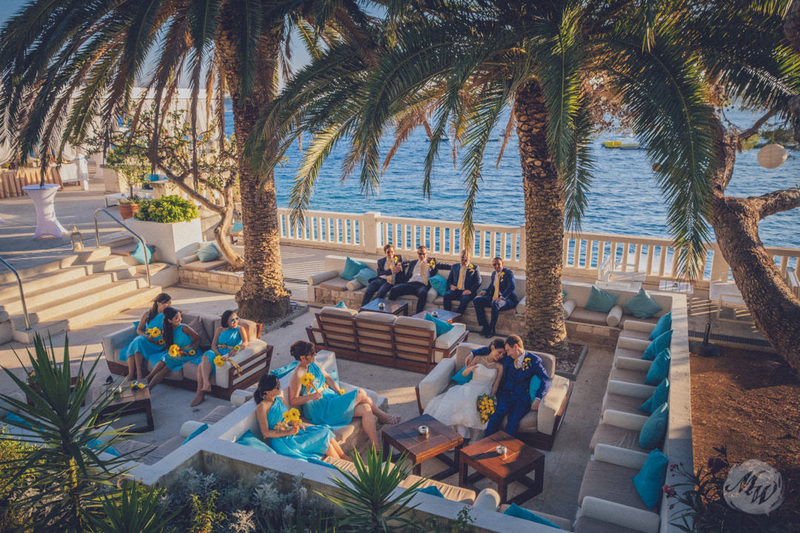 Yet, despite describing our style as photojournalistic, we always encourage our clients to have at least a few formal pictures with the closest family members like parents, grandparents, siblings, and brides- maids and groomsmen. Usually, it is the formal, posed pictures the couple and their families will end up placing in a frame in the living room. 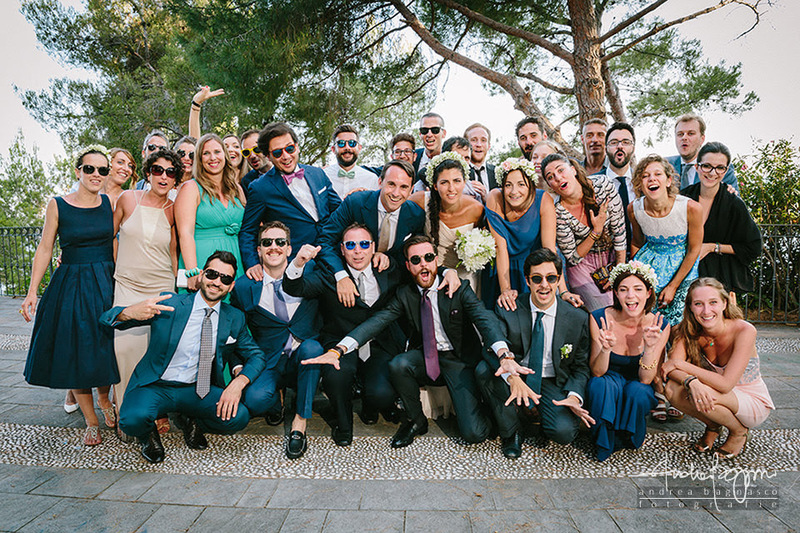 So in order to make those formal picture taking more of a fun experience, we tend to encourage the couple´s closest friends or siblings, usually the more audacious ones, to engage the couple in some fun and amusing activities. 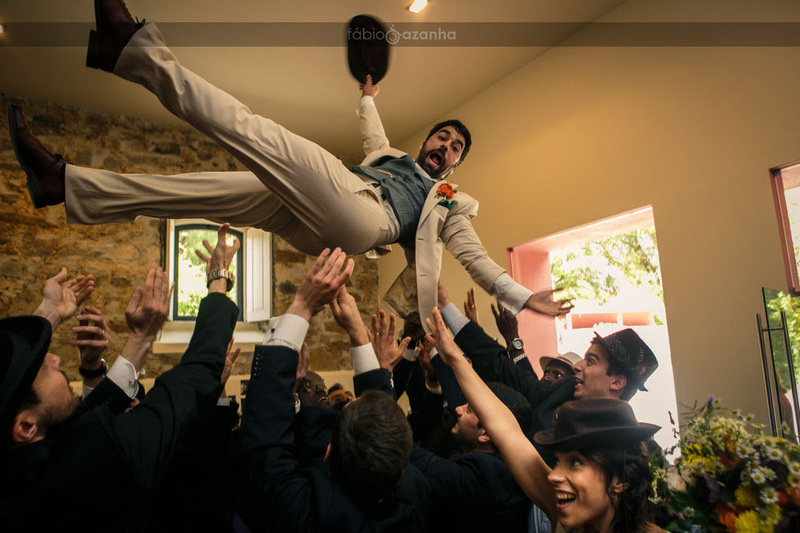 And so we oftentimes will end up with the newlyweds flying high to the roof! 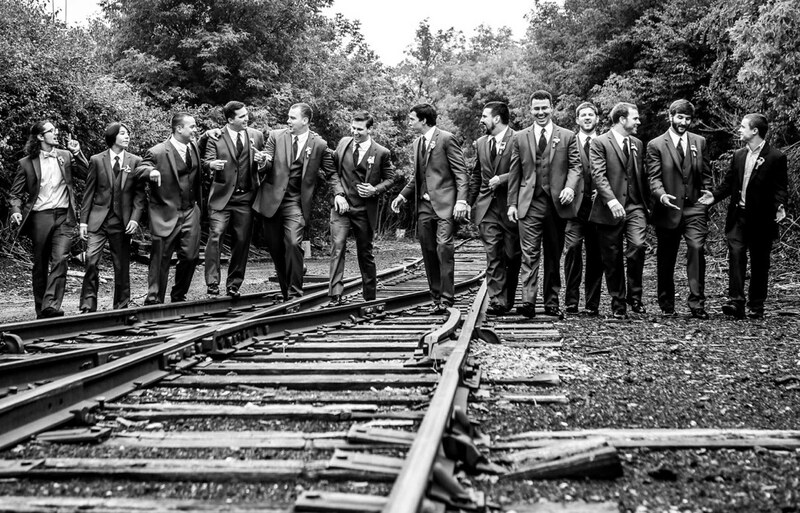 The best way to take pictures of the groomsmen at a wedding is an action shot. In this picture, they all had to stay natural, just walking and talking and having fun but looking cool. Some of my favorite images to capture are groups together. I find the best way to capture the magic is to give them something to do. It often brings out the natural and candid moments you don't see when you line them up for photos. They start doing something and forget about you the photographer! These are the natural and true moments where you get to see individual personalities shine in an image. In this case, they were all told to run towards me. Often they will laugh and look at each which makes for interesting images. 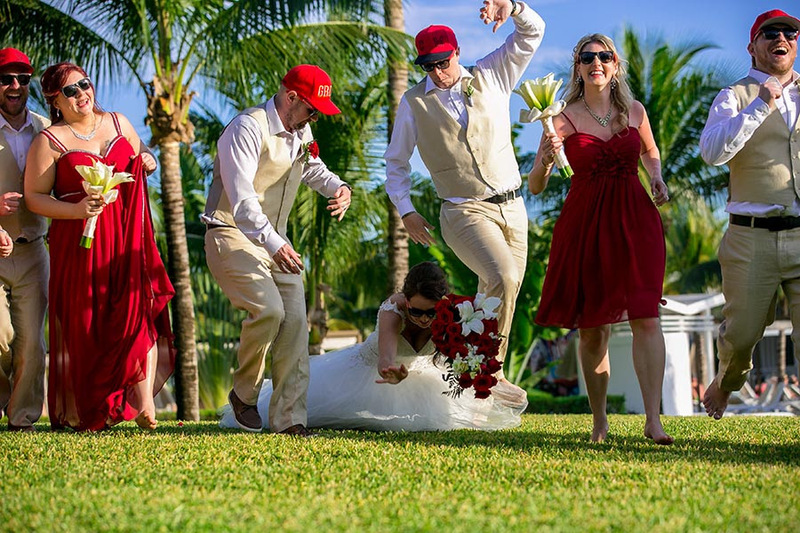 When our bride fell, magic happened and that moment in time was captured. Hands out falling. One groomsman trying to avoid stepping on her in a panic. Her new husband trying to catch her. Two members of the wedding party seeing it and laughing. Two more wedding party members running along oblivious to anything going on. These are the kind of moments I love to capture. It all starts with giving them "something" to do! A friend of the bride wanted an extraordinary family photo with her husband and their 3 children during the Getting Ready. I thought this would be a much more fun shot that simply lining them up in a row. The Experience Factor. How Important Is It For Wedding Photographers To Have Experience?